Nathalie Kelley's Art - Hello! Are You There? My parents have this vintage black phone in their kitchen. It still works, too. It is heavy as all get out. 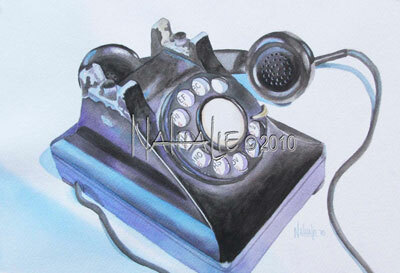 I love the purple and turquoise light on the old black telephone with the rotary dial.